I enjoy giving gifts to family and friends but sometimes I run out of ideas or I'm not sure exactly what to get. It's nice to be able to give a gift that your family member or friend really wants instead of a boring gift that might get returned or exchanged. Well, thanks to Best Buy I don't have to worry about that anymore! They have the tools to help you find the perfect birthday gift for anyone and everyone! 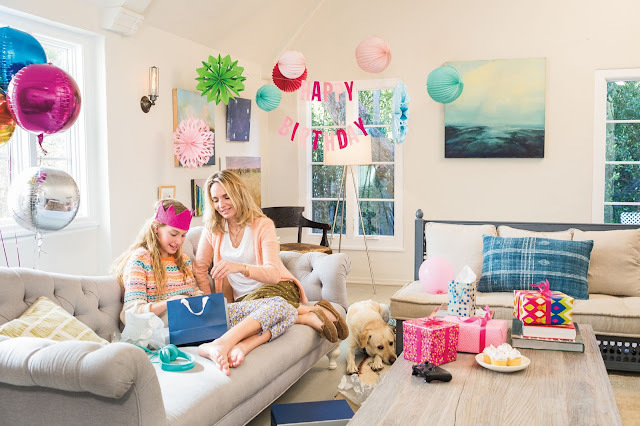 The Best Buy Online Gift Ideas Experience (bestbuy.com/gifts) features gift ideas inspiration to help you easily find the perfect birthday gift. Knowing what will make the perfect birthday gift can be hard sometimes! The gift ides page will help provide the gift inspiration you need with lists of great birthday gift ideas for 'Him', 'Her', 'Kids', and 'Teens'. This helps you quickly zero-in on the right gifts for the right people. Shop with a price point in mind, Best Buy has gifts ranging under $25, gifts from $25-$49.99, gifts from $50-$99.99, gifts from $100-$249.99, and even gifts over $250. If you are looking to give the best, their Top Tech Gifts list will inspire you with the latest and greatest in technology. Sometimes a gift card is the best way to go! Click the gift card link to buy a Gift Card and Best Buy can ship it to them! Or choose an 'E-Gift Card' that will be delivered instantly via email. A Best Buy Wish List is also a great way to go! Simply have your family and friends create and share a birthday wish list, so that you can get them the gifts that they really want. The Best Buy Wish List can also be used to keep track of all the great birthday gift ideas! Be sure to stay connected with Best Buy on Facebook and Twitter and have fun shopping!